Over the last few weeks, my hubby, Mike has been working away on a side project. 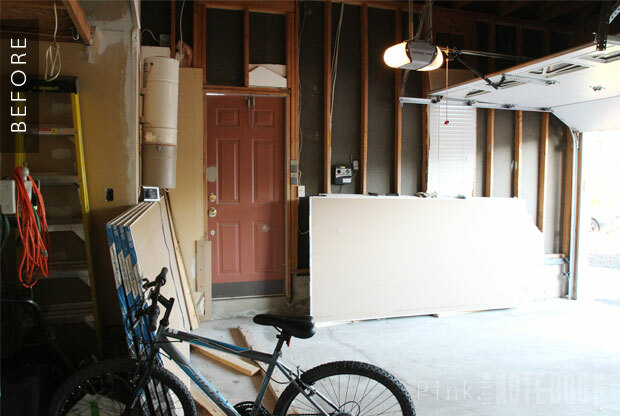 He’s talked about doing this project since day one of moving in—scheming a bunch of ways to organize one of his spaces. 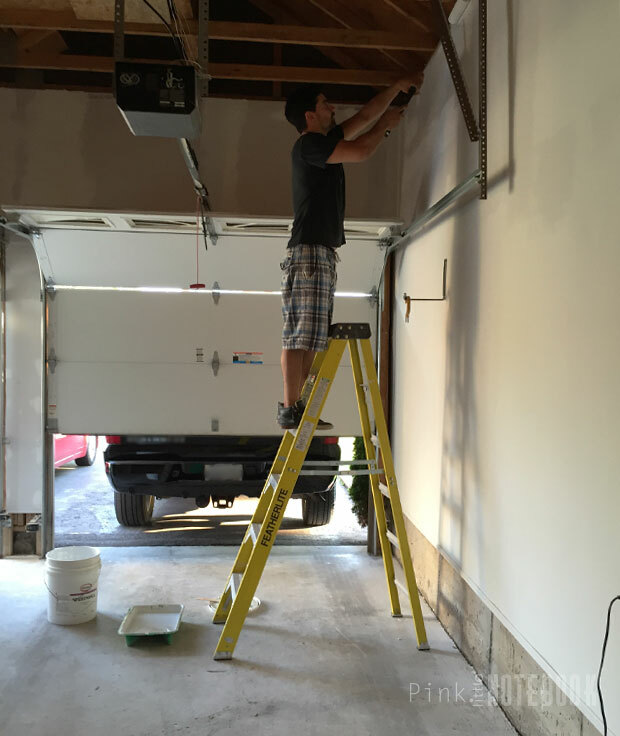 That’s right, he wanted to refinish our garage. Although we have a house full of incomplete spaces at the moment, Mike said he really wanted to do this project while the weather was still nice outside. I should also probably mention that I truly believe my husband is borderline OCD. He seriously takes pride in things being cleaned and organized, hence why his man space needs to reflect the same! So of course, I couldn’t say no. 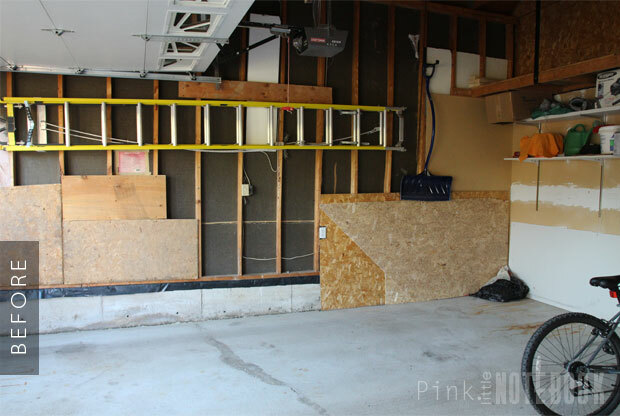 As I’m sharing some of the before pictures of the space, I really didn’t think our garage was in bad shape to begin with. Sure our things were disorganized and unkept. 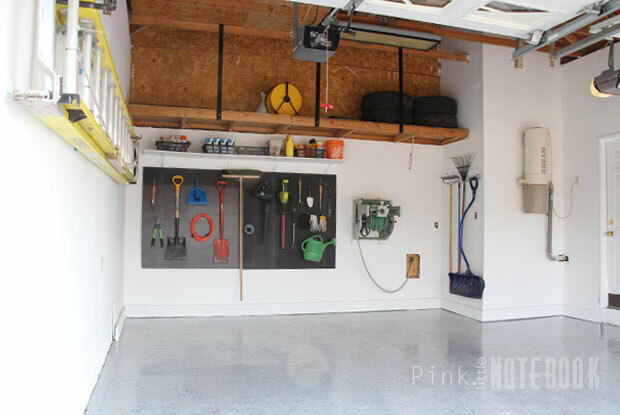 I agree our floors were stained and our open framing is not the most attractive but I always just thought “ah, it’s a garage”. 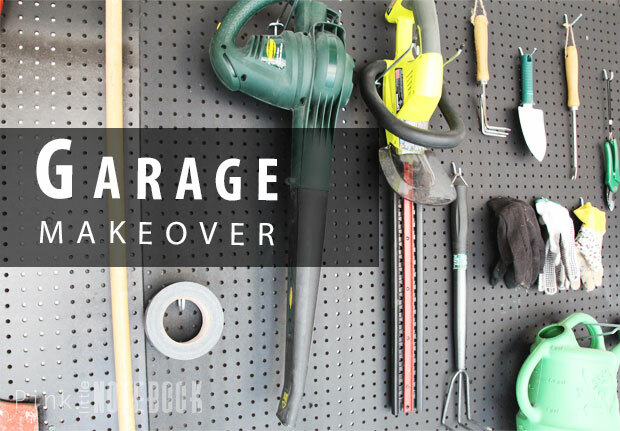 We mainly use our garage to store our vehicles and outdoor equipment. We tend to be minimal people so we don’t store or keep anything that we no longer need. And even with the stuff we do have in the garage, this was a great time for me to organize and purge anything brought over from our old house. 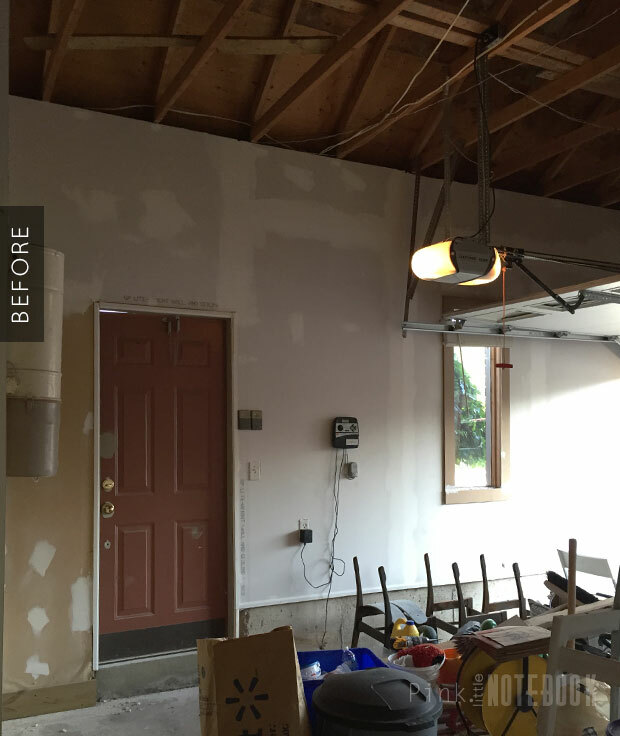 So over a couple of weekends, Mike with the help of Big Joe drywalled the entire space (minus the ceiling). We have great ceiling height so in the future if we ever need the extra space for our belongings, we can definitely build another level of storage. Once taping and sanding was complete, Mike primed and painted everything. And walla! This is what we ended up with . . . 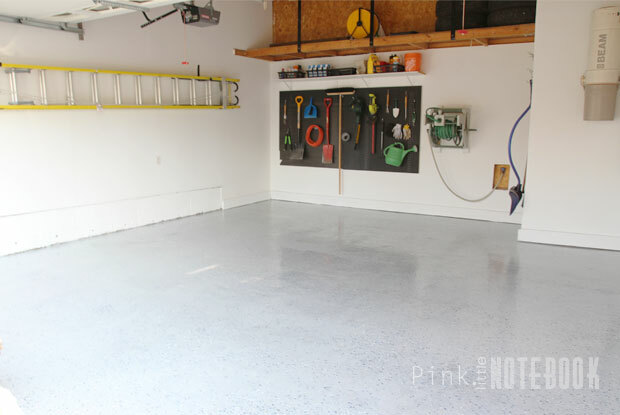 The floors were painted and sealed with RockSolid Floors® Polycuramine coating from Rust-Oleum. You can view the full tutorial right here. 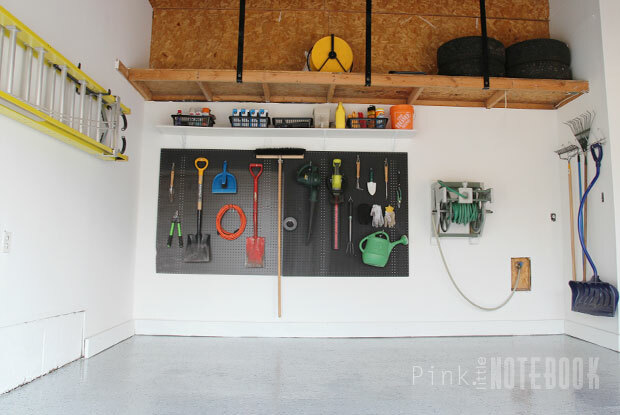 In any cool garage space, you always see those amazing steel cabinets. We even have the perfect nook to place them in. 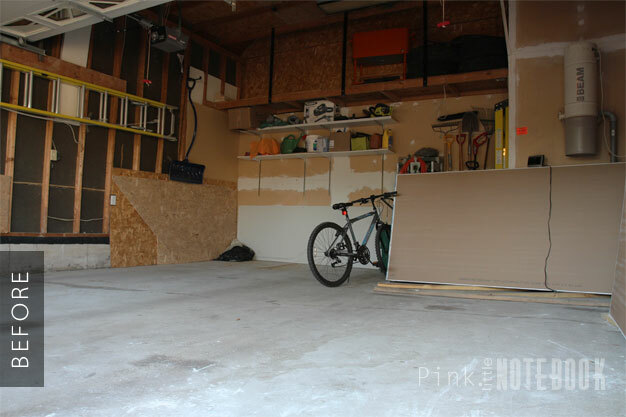 However, we couldn’t incorporate any storage that took up floor space as we keep two vehicles in the garage, one of them being a massive truck which takes up every square inch of that nook. Although an outdoor tool workshop would have been nice, reality is we only have a few good months out of the year to work outside. 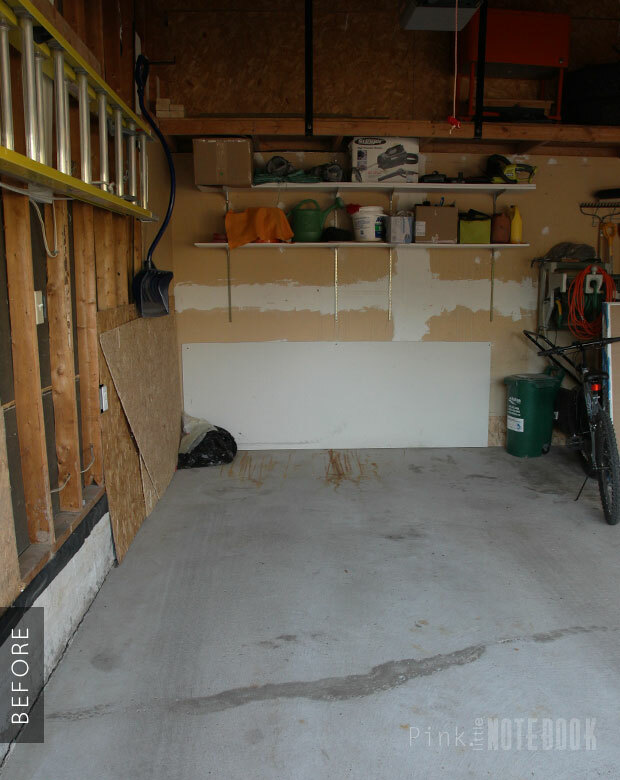 Since our garage is not insulated, we use our basement as our workshop and therefore, gives our garage more space and less clutter. 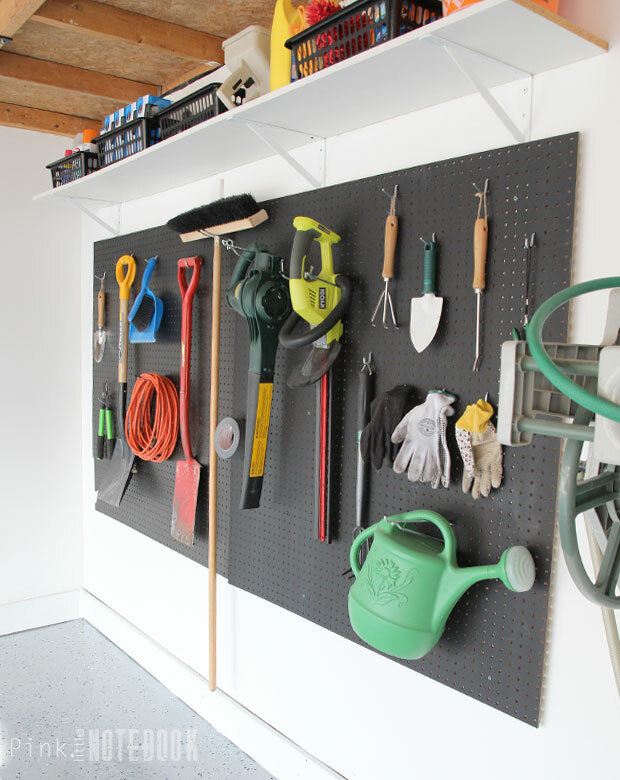 We added a peg board to make our gardening tools all visible. A shelf with baskets organizes all the other things that cannot be hung. The large built-in shelf that looks empty right now will eventually be storing all our backyard patio furniture. 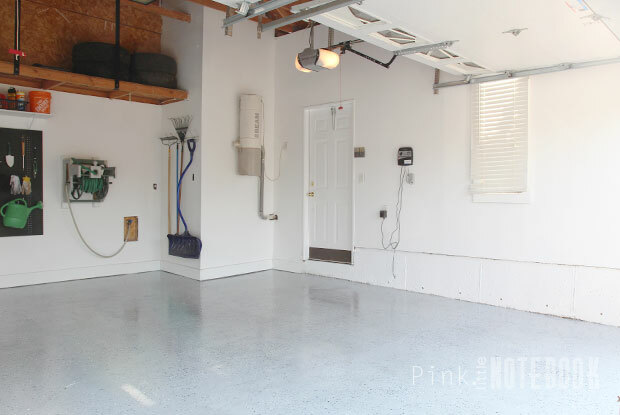 Although my hubby’s little project was not high on my priority list, it’s actually very nice to walk into a bright and clean garage. It really does make all the difference! Furthermore, I love the fact that everything has its place. Love it! Looking forward to the tutorial on the floor. I know what you mean about walking into a clean garage. Finally we are blue to pry both vehicles in our tight garage space and we can move around in it. Only took 15 years and 4 people moving out of our house, I feel so great every time I go in there. Wow fancy pants! That’s gorgeous (for a garage ). This looks great! It’s so open and bright. The floor looks amazing too. Oh my gosh it looks so good! 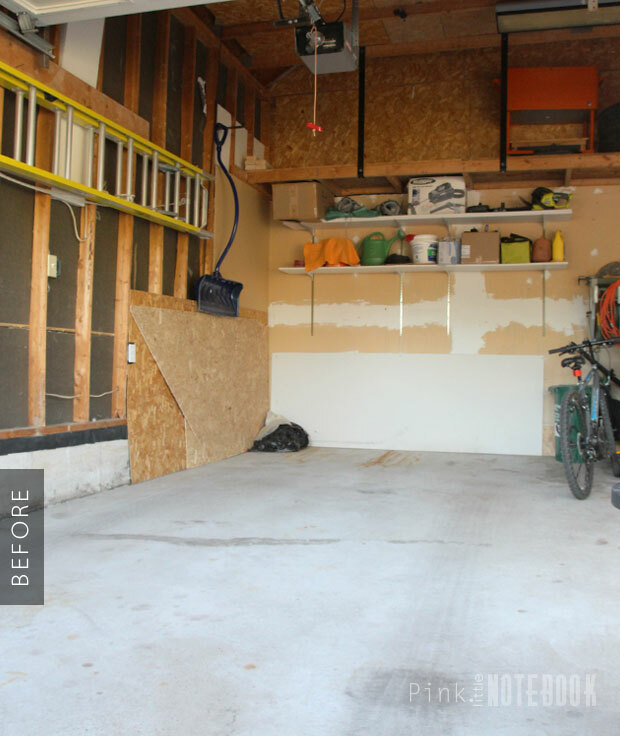 My husband has been wanting to paint our garage forever and I’ll have to show him this to get us inspired. So organized and clean! We definitely did! We used 2×4’s behind the pegboard.